Many have been asking this questions why is it that when others get their payment at the end of the month, there will not get they own. Have you ever asked yourself such a question? Now worry no more because after reading this post from the beginning to the end you will see the reason and correct to update it. 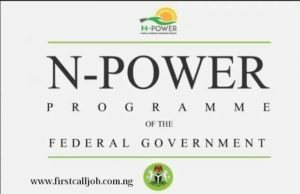 All Successful beneficiaries for 2017/2018 Npower recruitment have been deployed, and all 2017/2018 beneficiaries are required to update their account details and upload their letter of deployment so that he or she will be able to receive his or her due monthly stipend. So if you don’t do it, you have yourself to blame. And also all the Applicants selected should know this that they should login to there profile to know what and what is required for them. So you have yourself to blame because the time stipulated for this program will not be extended because all the people that will be selected finally will move to there place of work by December. One of the reasons for one not to be receiving a salary could be this. When the candidates are doing their registration may be out of hurryness he or she did not enter the correct account details, and he or she did not know now after doing the registration and passing through the screening process when the time for payment reach the candidates will not be paid due to that costly unknown mistakes. Do you have such issue don’t worry we will settle it here and now through our step by step guide all you just need to do is to update your profile details correctly how you can do that? Here you login with your phone number and BVN so you can be able to create a profile for yourself and also update your information. Complete the required fields and update to save your bank account details. When you are filling the form at the Npower Account Login website, please Fill in your name the same way it is written in the bank account details to avoid making mistakes and also your bank name alongside with the Bank account number and your BVN which is the most important. If you asked to upload a passport photograph, then upload a neat one. After this then you now click the Submit button and thas all.